For over 30 years Crane & Machinery has remained an innovative leader in the sales, service and support of cranes and other heavy equipment. 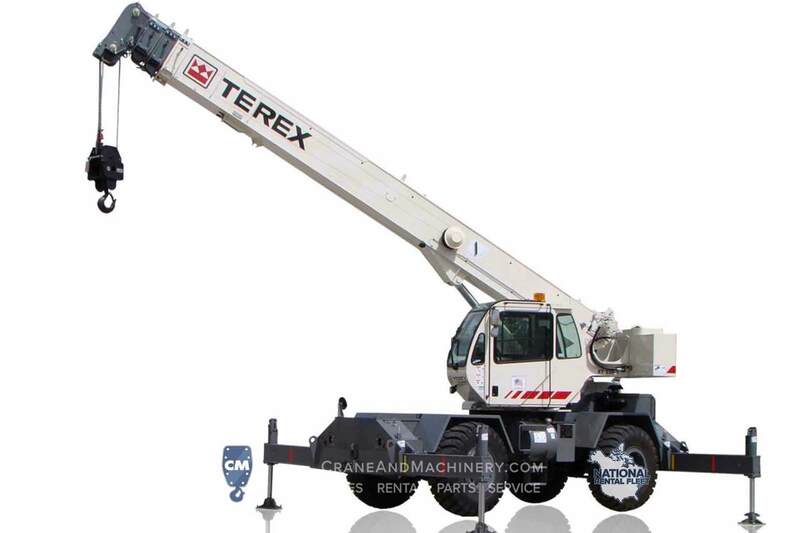 We are an authorized dealer for Terex rough terrain and truck cranes, Manitex boom trucks and sign cranes and Fuchs material handling equipment. At Crane & Machinery, we do more than just sell equipment; we are Terex’s largest worldwide parts distributor and also carry over 3 million OEM and aftermarket parts. Our motto is “if we don’t already have it, we’ll find it!” If your crane or boom truck needs work, our trained and experienced technicians will get your equipment up and running at the job site or in our shop so that you can get back to work. We take pride in repairing our customers’ equipment right the first time and by recommending the proper maintenance schedule to reduce downtime and more costly repairs in the future. The dedicated team at Crane & Machinery looks forward to introducing you to world class service wherever and whenever you need us.